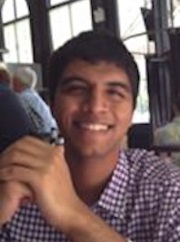 Vyas Sarabu is a sophomore at the University of Texas at Austin studying finance in the McCombs School of Business. In high school, he worked as a tutor at the Kumon of West Plano, an after-school math and reading learning center. There, he tutored middle- and high-school students by helping them understand and practice the content they were learning in their classes in order to improve their math and reading performance in school. During the summer after his freshman year at UT Austin, Vyas worked as a sales associate at the Dillard�s at Willow Bend. In this position, he was able to merchandise inventory and communicate with customers in order to promote sales in the department in which he worked. At the University, he has been involved in organizations such as the University Finance Association, Lions Club at UT (a community service organization), and Learn to Be (an online tutoring service for local middle school students). Vyas is excited about promoting the scholastic interests of students in Austin. He is also looking forward to working with his peers to create an enriching educational environment for underserved children in the area so that they can enjoy opportunities for success in the future.